Labor Day began in 1894. The US Congress decided that the first Monday of every September would honor the working men and women of our great country. This would include everyone from plumbers, carpenters, teachers, and yes, even the orthodontic team at Greater Houston Orthodontics! Some still argue about who deserves the credit for Labor Day becoming a national holiday. Some point to Peter J. McGuire, who co-founded the American Federation of Labor. Still…some others feel that Matthew Maguire, secretary of the Central Labor Union, deserves the most credit. No matter who established it, Labor Day has become a big part of American tradition. Modern Labor Day celebrations are chock-full of everything from picnics to fireworks. 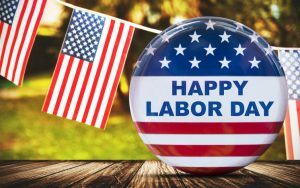 At Greater Houston Orthodontics we hope that we’ve helped you to see Labor Day as a marker of everything working people have achieved over the last century. And with that, our office would like to wish all of you a terrific end of summer and a happy Labor Day! Feel free to call Greater Houston Orthodontics at our Memorial or West University office with any questions or to schedule an appointment.